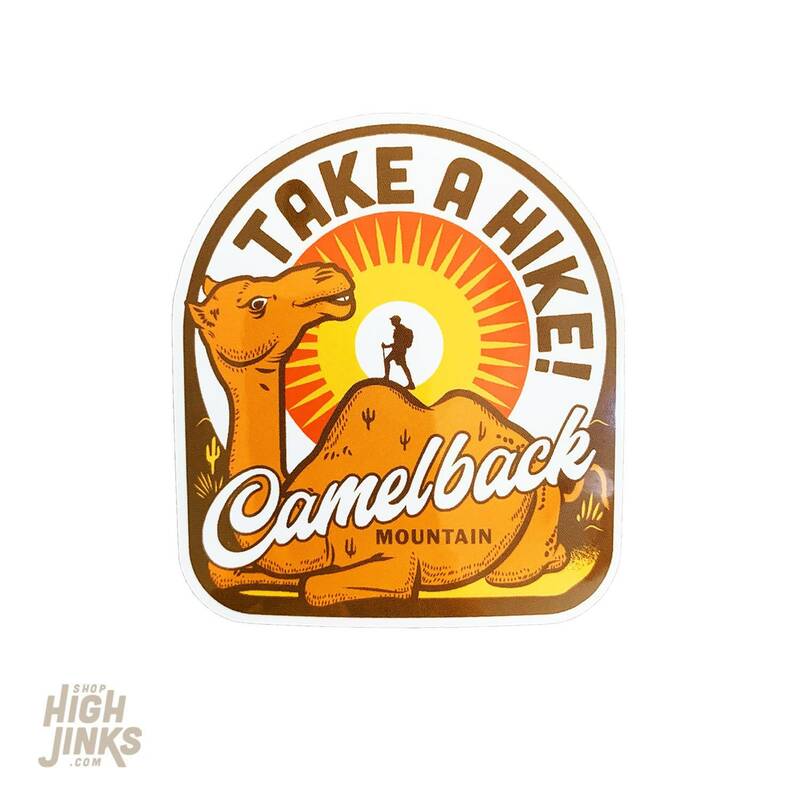 The Camel is tired of all ya'll on his back. Take a Hike! Show some southwest pride and an adventurous spirit with our all new 3" vinyl adhesive back sticker. Perfect for laptops, skateboard decks, sketchbook covers and MORE! 2.5 x 3" high gloss vinyl with uv coating to resist the tough desert elements.